The craziest thing happened a few months ago. Cori Spieker aka The Reset Girl, messaged me to say she would like to meet with me to discuss the possibility of us working together on some faith based projects. As you can imagine, I was extremely surprised and equally delighted. 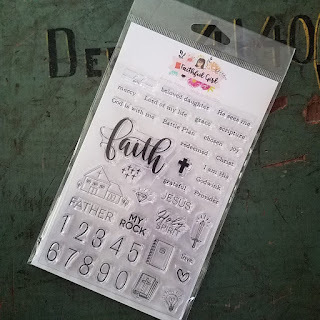 I had been seeking God's will for months on a way to take my passion for hand lettering, storytelling and memory keeping into a faith based direction. Cori's message was utterly out of the blue and as we were not well acquainted, I knew it must be a God connection. She came to see me one sunny day in November and I was giddy with anticipation. After a three hour lunch on the lake, I knew this girl was going to be my friend for life. We spent the next few days discussing our business goals and most importantly, our faith. We talked on my couch 'til the wee hours of the morning and God confirmed again and again that we were destined to be friends for the long haul. We shared stories of trials and victories, we laughed, we cried and we prayed. We bonded big time. A couple days after she left, I was already missing her when she text me and asked if I would like to collaborate with her on upcoming products with my hand lettering. Of course, I readily accepted her offer! She gave me a list of words and phrases to letter and we made plans for products to come. Soon after, she began to release the first of the products and it is a thrill to see my lettering on her designs! It truly is a dream come true! While Cori was in town (her RV parked in my driveway), Tiffany came over and we recorded an episode of The Scrap Gals Podcast that would air a couple weeks later. Our listeners absolutely loved the show and we got a lot of great feedback. The week the show aired, I was sitting at the library and Cori and I started a conversation by text about the success of the episode and how everyone loved it. We realized it would be a great opportunity for us to collaborate on a regular basis if we did a podcast together! Cori already wanted to do a podcast and I wanted to do a faith-based project but didn't know what that should be. A faith-based podcast seemed like the perfect project for us. 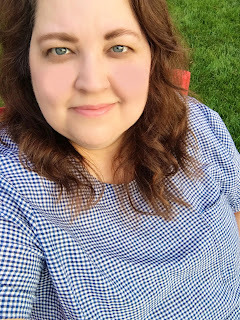 We discussed a lot of ways the show could go and decided we should continue the meaningful work that Cori puts in to her Faithful Life Club Challenge each month. What better topic to discuss than God's Word!? Of course, along the way, we'll share personal stories, revelations and sermon notes and I know Cori will share tips, as she always does, on resetting your life. The show will air each Wednesday morning and we are so excited for it to premiere! We're looking forward to connecting with listeners who want to focus on making Jesus the most important part of their life. If that's you, join us! We'll post a link on our social media and here as soon as the first show is up! Meanwhile...we're making plans for a First Love Club Retreat! Join us in Nashville, Tennessee at my friend's gorgeous studio for a 12 hour workshop! Only 30 spots available! Find all the details here or by clicking the image below! Thanks for allowing me to share this story with you. I have a lot of great projects in store for 2018 and this is one of the most exciting. I hope you are having a wonderful holiday season and feeling the peace and joy of Jesus every day! 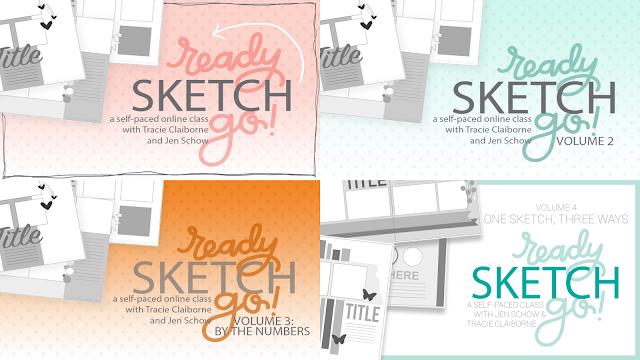 This class features a total of 30 sketches and 30 layouts! In each of the 10 lessons, Crafty Jen Schow and I, together, share layouts in three sizes: 8.5x11, 12x12 and 12x12 double page! We each created a mix of sizes for the lessons. I think you're really going to be inspired by how we've interpreted these. Each sketch has a core design that is similar in all three sizes but our layouts for each design look vastly different. We also deviate from the sketches sometimes as an example of how you can change them up. This class features over six hours of video instruction in 10 online lessons in our self-paced classroom and a 24 page full-color handout. For your convenience, we've included pages filled with just the sketches so you can quickly reference them but we've also included all the layouts and tips and tricks we share in the classroom. Plus, don't miss our exclusive cut files and private Facebook group to share and receive inspiration! 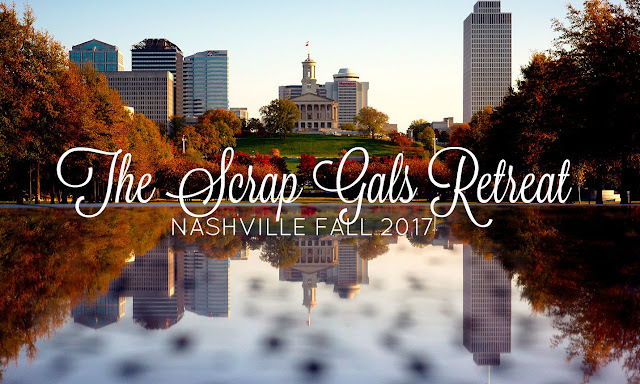 As an added bonus, we will add a one hour audio discussion that we are taping when Jen comes to Nashville for The Scrap Gals Retreat. The audio discussion will be added to the classroom on October 10th. 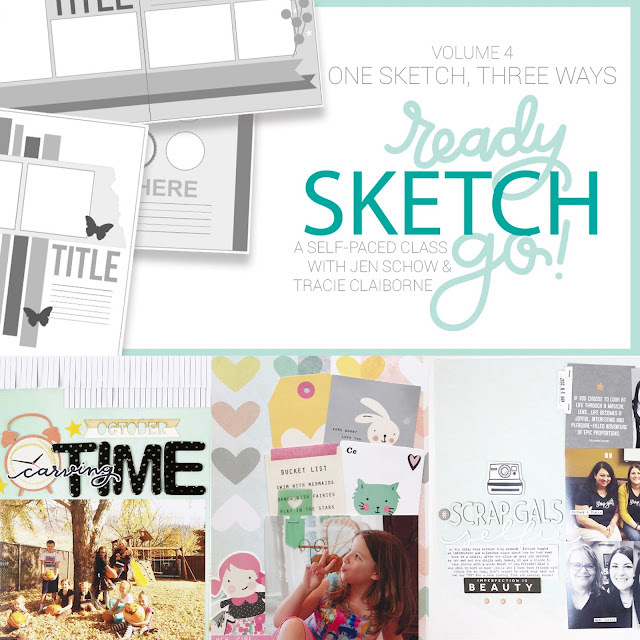 Many of you have asked about a bundle so we're making this special offer for those of you who have never purchased Ready, Sketch, Go! For a limited time, you can purchase Volume 1, 2, 3 and 4 for only $99. That's a $24 savings off the regular class price. This is my last time to offer a Ready, Sketch, Go! class. I am launching a new website and business in early 2018 so I will be taking a break from online scrapbook classes for a while, perhaps forever. That's why I'm so happy that this class offers so much great content: it was one last labor of love for me. Thank you to all of you who have so sweetly supported my online classes the last two years. Big, happy and fun adventures are on the horizon so this is only the beginning but I wanted to say how much I have enjoyed creating content for you and being inspired by you all in return! To find out more about the classes I currently offer, click here. So I did a little lettering to make my Mom a card and thought I would share. Here it is several ways. Right click and save. This is sized to 4x6. If you'd like to print, I will probably need to e-mail you a copy so e-mail me at tracieclaiborne@hotmail.com and let me know which version, 1-4 and I will send it back to you from my iPad where I created it. Enjoy! If you share this on social media, please tag me! Thanks! Happy Mother's Day to everyone! XO! This week on the Live Inspired podcast, I'm talking about one of my favorite topics: organizing! As you may know, I recently reorganized my entire studio and when I was done, I had a lot of thoughts about the best way to organize for maximum creativity and productivity. If you're feeling overwhelmed by your stash, this is the show for you; in it I offer six easy tips to help you tame your stash. I've moved my desk to be parallel to the desk on the left wall. I'll share a video in the next few days that shows you exactly how it looks now! I hope these tips inspired you and that you enjoyed listening to my tips! 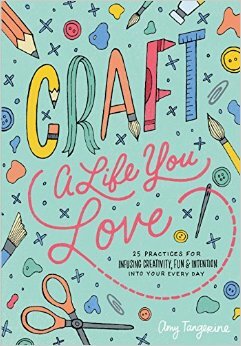 This week, on the Live Inspired podcast, I'm talking to Amy Tangerine about her amazing new book, "Craft a Life You Love." Amy's book offers proven tips for boosting your creativity. This inspiring workbook is a step-by-step guide to help you work through your creative obstacles. In this show, Amy and I discuss my favorite parts of the book and why it's so important to find time for creativity. I am looking forward to filling in each of the workbook prompts and I know this is a book I will read again and again. In fact, I'm starting over at the beginning this weekend. If you want to get in the creative zone and find out why you're not already - get this book! Let me know what you think about this week's Live Inspired and if you've read Amy's book, let me know your favorite part! 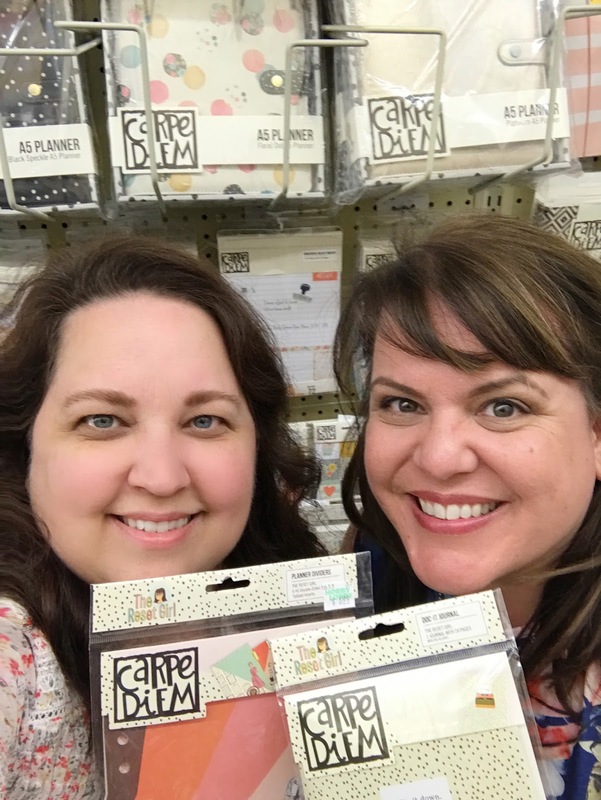 This week, on the Live Inspired podcast, I'm talking to Kellie Stamps Owner, Kellie Winnell about her prolific scrapbooking. 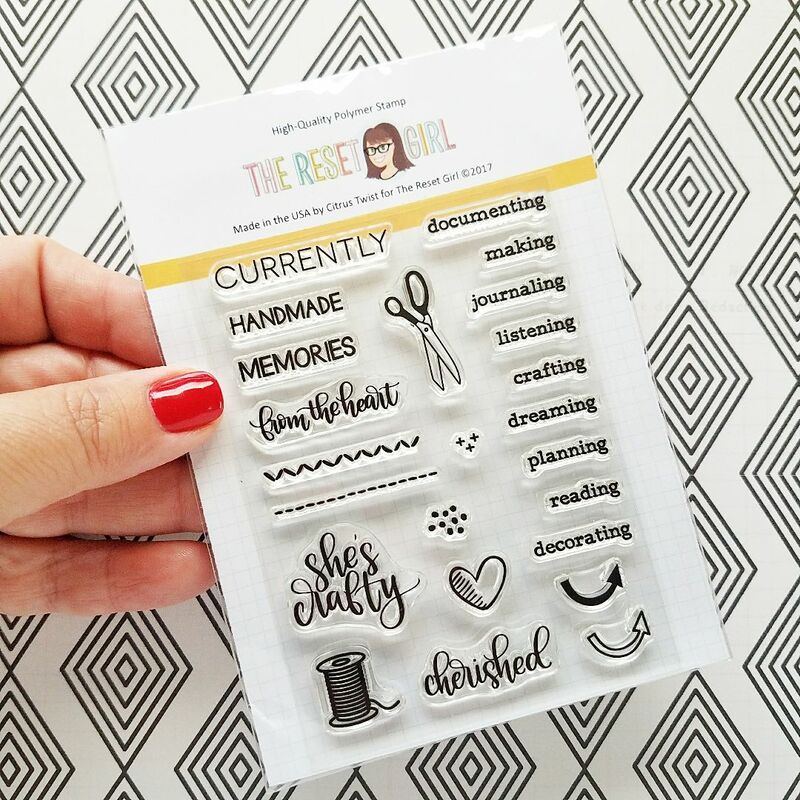 Kellie shares how and why she makes time for memory keeping and why her personal Project Life album makes her happy. 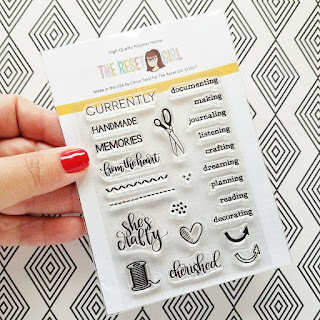 We discuss scrapbooking in a planner, random Traveler's Notebook inserts, Project Life in 9x12 and tips for remembering to take photos daily. Kellie is a delight and I'm so happy to know her. She is someone who truly inspires me to JUST DO IT! :) I hope you feel the same way after listening to this show! Don't forget, registration for our Scrap Gals Salt Lake City retreat closes at the same time. If you are interested in registering for Salt Lake City but were unable to by today, please e-mail me at tracieclaiborne@hotmail.com and I can hold a spot for you. We have only four spots left so don't delay! This week, on the Live Inspired podcast, I'm talking to Jen Carlson. Jen designs for Ali Edwards, Kelly Purkey and One Little Bird. Her striking and minimalist designs are truly inspiring. Jen and I discuss scrapping 6x8, her love for pockets, how she developed her style and her carefully curated Instagram feed. I really love Jen's striking and clean style. 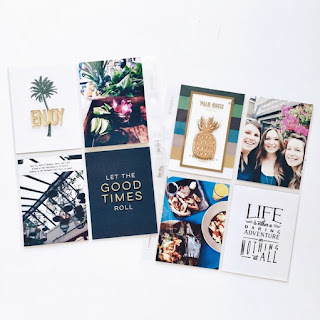 She has such a great eye for design and I think her scrapbooking seems very doable. 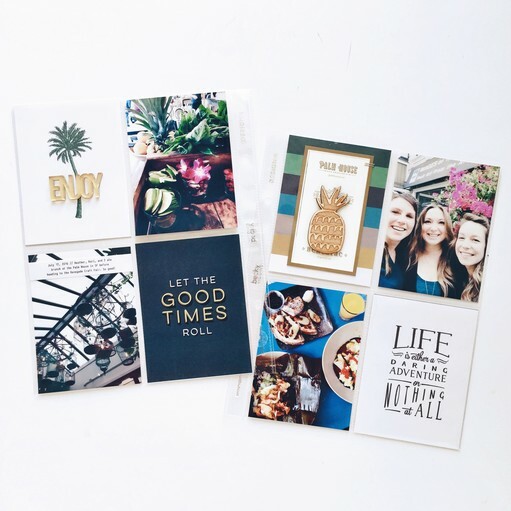 Often we see examples of scrapbooking online that are beautiful but seem a bit out of touch. Jen's style is striking in its simplicity so I think that's why it inspires me so. I love artsy and fussy pages but my heart will always be with a clean and simple style. Thanks for listening and stopping by! 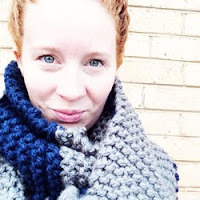 This week, on the Live Inspired podcast, I'm talking to Lindsay Weirich aka The Frugal Crafter. Lindsay has an astonishing 300,000+ on YouTube so when I saw her channel and heard her enthusiasm for crafting, I knew I had to talk to her! We discuss her video titled Is Scrapbooking Dead? and Lindsay offers some very wise insight into the decline of interest in our hobby in recent years. 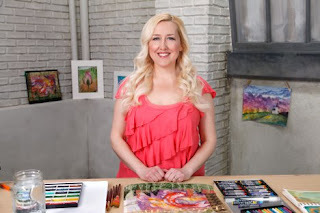 She also gives us lots of practical tips on living a life of creativity. I loved talking to Lindsay about art and scrapbooking. It's fun to connect with someone new and instantly have a lot in common. I really had some a-ha moments during the show thanks to her. I will be mulling over my new thoughts on the decline of scrapbooking for a while after this episode. 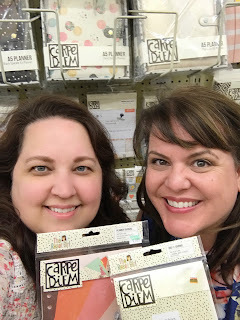 If you'd like to check out Lindsay's Class on Craftsy "Mix It Up, Mixed Media Step by Step," click this link to purchase with a 50% off coupon code! Lindsay is also teaching in a collab called "Life Book" with 23 artists teaching mixed media techniques! Here's a link to Life Book. Use the coupon code FIREWORKS2017 for 20% off discount valid through 1/31/17. Finally, here's a link to Lindsay's to Angela Fehr's "Creative Watercolour" course. 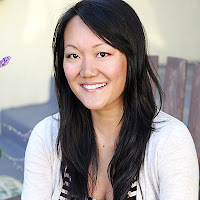 Lindsay was a guest teacher in this class and she offers 45 minutes of incredible content. This course is aimed at hobbyists and papercrafters. If you'd like more information on The Scrap Gals Retreat in Salt Lake City, April 28-30, 2017, click this link. We would love to have you join us there for a weekend of fun!! Registration is now open, at this link. I've been thinking a lot recently about the division that is currently happening in our country. We are in a time of civil unrest and there is a clear division on many issues. Every day, I see hateful rhetoric and name calling from both sides that makes me ashamed of the human race. Every single day. This leads me to believe many people are lacking a skill that is vital to the success of America: the ability to disagree respectfully. One of my best friends sat on my couch this weekend and we had a three hour conversation about politics and religion. Yes, politics and religion. We each shared our viewpoint on our faith, the election and current affairs and guess what? Although we are on opposite sides politically, we agree on many issues. On the issues we don't agree on, we can at least understand the other's point of view. She understands that I am not going to waiver on some of my beliefs. I understand that she sees the world through a different lens and is more open minded in her interpretation of how the world should be. During our conversation, we didn't just talk to each other....we listened to each other. When you love someone, you make an effort to truly understand them and you go on loving them, even when you disagree. During the three hours, not one hateful word was spoken. You see that is the key....in the way of disagreeing, there can be no hatefulness. There can be no name calling. You will never win anyone to your side by calling them a name. Arrogance is unappealing. Vulgarity never impresses. Profanity is unnecessary and disrespectful. Respect for your argument is only gained when you can present it in a kind and gentle way. Speaking of respect, did you know you can disagree with someone and still respect the office they hold? I have disagreed with many presidents, politicians and even pastors but I still showed them the respect they deserve. I am teaching my child to do the same. I am raising a child who understands that people in authority deserve respect. Were we not all taught that from a young age? When you disagree hatefully, you lose credibility; your argument loses all merit. Even if there is a grain of truth to what you say...the truth is lost among the hate. It boils down to this: I cannot respect you if you disrespect people who do not share your opinion. Disagree...don't disrespect because disrespect causes division. This is a lesson Americans (and our children) desperately need to learn.